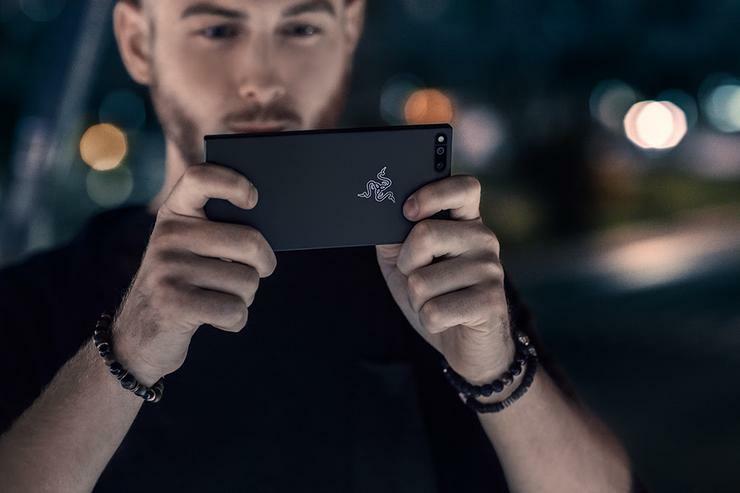 Razer's gaming-focused smartphone, launched overseas last year, is finally coming to Australia. From this week onwards, the Razer Phone will be exclusively available through JB Hi-Fi website at an RRP of $1099. It'll also be available through the Razer online webstore from the 3rd of July. Razer say the first 60 customers who purchase the Razer Phone from JB Hi-Fi will receive a bonus pair of Razer Hammerhead USB-C in-ear headphones. Under the hood, the Razer smartphone runs on Android 8.1, a Snapdragon 835 processor and a hefty 8GB of RAM. The device also features a 5.7-inch, 120 Hz, Wide Color Gamut LCD display, Dolby Atmos audio, 4000mAh battery and 12-megapixel dual camera. The sell here is that the Razer smartphone has been designed from the ground-up for gaming-heavy mobile users. Razer say that "the Razer Phone comes with a phenomenal display, cinematic audio and enough power to last a user all day, all in the palm of his or her hand." The Razer Phone is available through JB Hi-Fi and Razer.com an Australian price of $1099 from this week.